Leo J. Presiado is an experienced business litigator with a distinguished track record of successfully representing clients in complex, high-stakes lawsuits. 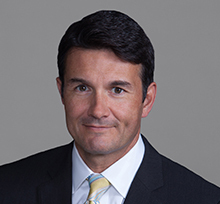 He has extensive expertise litigating cases in both state and federal court, including business torts, unfair competition, fraudulent transfer claims and all variety of contract disputes. Leo is also an accomplished appeals court lawyer having briefed and argued cases before the Ninth Circuit Court of Appeals, the California Court of Appeal and the United States Bankruptcy Appellate Panel. In addition, a significant part of Leo's practice involves bankruptcy litigation and restructuring, having served as a full time Judicial Extern to the Honorable Calvin K. Ashland, Chief Judge of the United States Bankruptcy Court for the Central District of California and the Bankruptcy Appellate Panel of the Ninth Circuit. He has also served as an instructor of Commercial Law at the University of California, Irvine and as an Adjunct Professor of Law at Chapman University School of Law. Leo is also active in the legal community, serving on the board of directors of the Orange County Federal Bar Association and having devoted time to the Public Law Center. Enough For Everyone, Inc. v. Provo Craft & Novelty, Inc., 2012 WL 177576 (C.D. Cal. 2012) Successful breach of contract and accounting claims involving intellectual property royalty agreement resulting in seven figure judgment. eBay Inc. v. Digital Point Solutions, Inc., 608 F. Supp. 2d 1156 (N.D. Cal. 2009) Ongoing defense of claims brought under Federal Computer Fraud and Abuse Act. Gilbert Street Developers, LLC v. La Quinta Homes, LLC (2009) 174 Cal. App. 4th 1185. Successful defense of attempted forced buy out under development agreement resulting in favorable precedent curtailing jurisdiction of arbitration panel. Commonwealth Energy Corp. v. Investor Data Exchange, Inc. (2003) 110 Cal. App 4th 26. Successful prosecution of claims for misappropriation of trade secrets, unfair business practices, and false advertising resulting in favorable anti-SLAPP suit precedent. Western Ethanol Co. v. Midwest Renewable Energy (2010) WL 658654. Successful prosecution of contract claims involving multi-state ethanol production and distribution.